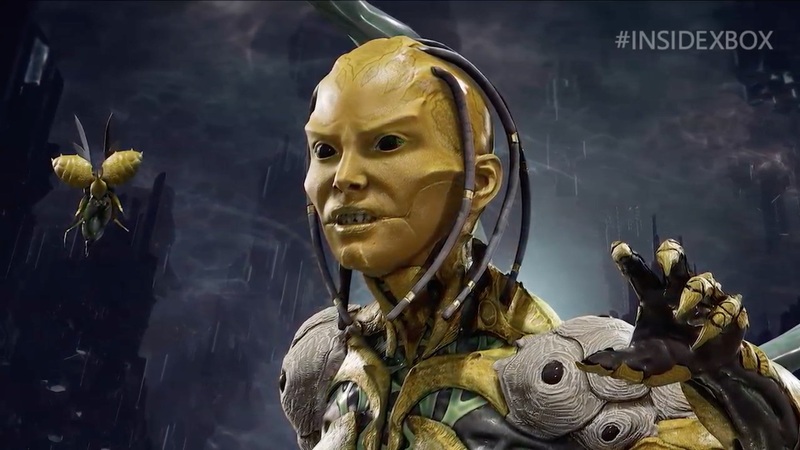 After revealing that Kabal has joined the Mortal Kombat 11 character roster, NetherRealm Studios creative director Ed Boon appeared on Inside Xbox to add that D’Vorah will also return. The character was first introduced in Mortal Kombat X and is a Kytinn – a species of colonial insects that live inside humanoid bodies. Her realm was conquered by Shao Kahn and she made a decision to serve the emperor rather than become a slave. D’Vorah’s fatalities in Mortal Kombat X command a swarm of wasps to puncture her opponent’s body before devouring everything from their skull or stabbing out her opponent’s heart and brain. Mortal Kombat 11 will release for Nintendo Switch worldwide on April 23rd, with Shao Kahn as a pre-order bonus.